Leentje enjoys teaching technicalities and sharing her knowledge. She also likes helping creative minds to reach further. Both beginners and experienced dyers, printers, textile lovers. Her workshops take place at her stimulating spacious studio in the centre of Amsterdam and at other locations. Dyeing many shades with most important dyeplants and cochineal on wool, silk, cotton, hemp and linnen. 1,2 and 3 may. May 2019. Making a rainbow of shades. Use of Shibori and overdyeing. genista, iron-tannic, indigo and a mordant/discharge paste. And their many beaytiful combinations. Working on white and naturaly dyed fabrics. Wool, cotton, linnen, hemp and silk. 4 and 5 May 2019. 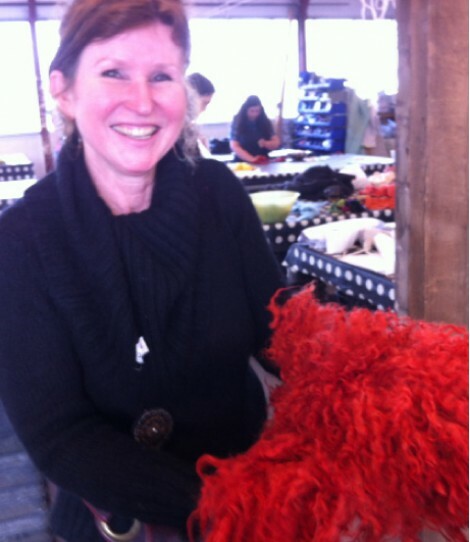 AT ATELIER FIBERFUSING(Facebook), NES aan de AMSTEL, 10 km from Amsterdam. Kijk op Facebook voor een impressie van actuele cursussen.